Some of you may know that I did my first NaNoWriMo this past November. If you don't know what that is, basically you are writing a novel in one month. It's an adventure for sure and I can't wait to do it again this year. I met many interesting people during that time and one of them is Suz Korb. Suz is a writer and she's doing something very unique: Writing a novel LIVE on her blog. She's written a novel live before so it's not her first rodeo. 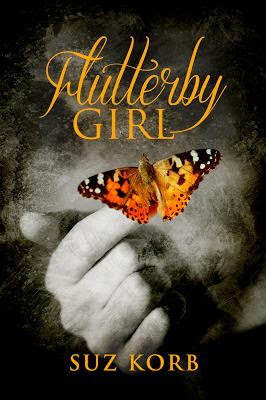 This time it's called Flutterby Girl. Here's the cover! As an aspiring author, I'm amazed by this. I wish Suz all the luck in the world on this endeavor. I can't wait to see how it comes out. This is such an inspiring idea. All of my fellow NaNoWriMos should check this out.